It's November 29, 2011 and we still have flowers blooming!! It was 70º yesterday and 62º right now. 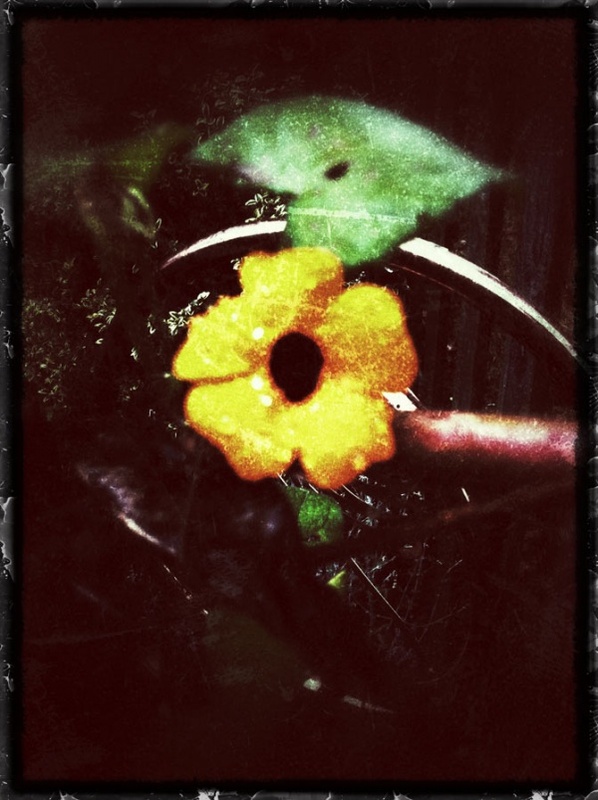 This is a Black-eyed Susan Vine flower that keeps on going. Three other plants are blooming - two different Toad Lilies and an Oxalis. Global warming? - Not happening according to some uneducated persons in the Re... / Longwood Gardens was updated from a Zone 6 to a Zone 7, a warmer planting zone this year due to Global Warming/Climate Change. Enjoy the weather and the very late blooming flowers. It's still not to late to make some soil amendments to your gardens. Instead of getting rid of your leaves just grind them up with a leaf blower / mulcher / lawn mower and put the leaf mulch on your garden or just leave on your turf grass. This will give you a nice natural mulch for the winter and into most of next year. The advantage of this is that the leaves break down putting the best fertilizer into your soil. Short story is that it increases nutrients and builds up the good biological content in the soil which helps whatever is planted get NATURAL FERTILIZERS unlike what the Chemical companies want you to think that you need chemical based fertilizers - A BAD THING! More on this at a later date.